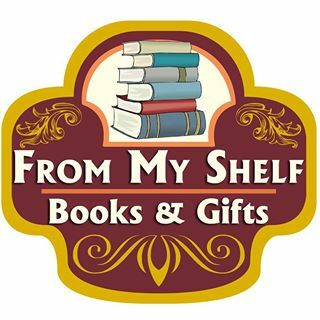 From My Shelf Books and Gifts is a full-service, eclectic, friendly, "old-fashioned", mom-and-pop owned, independent bookstore. At any time, we have over 60,000 books in stock, with literally millions more available within 1-3 business days. Our inventory is about 70% new and 30% used, and we strive to keep our store well-organized and clean for easy browsing and shopping. We also sell online and are happy to ship things to you, or your loved ones, anywhere in the world. Feel free to stop in, call, email, or visit our website or blog, for excellent customer service. Every year we host "Where's Waldo" in July, a month-long scavenger hunt, and in October, "Wellsboro Bookfest," and event combining a used book sale and regional authors. From My Shelf Books and Gifts is also home to the "Totally Ninja Raccoons," an award-winning children's series written by local author and bookstore owner, Kevin Coolidge, set right here in Tioga and Potter Counties, featuring adventures that take place at local landmarks!